If your default Input Format is set to Filtered HTML then the content you upload from ScreenSteps might not look correct. This lesson will show you how to change the Input Format setting on an individual post. After posting a lesson to Drupal you may not see any images appear. This is because the Filtered HTML input formatter was the default for all content. To fix this click on the Edit link while viewing the post. 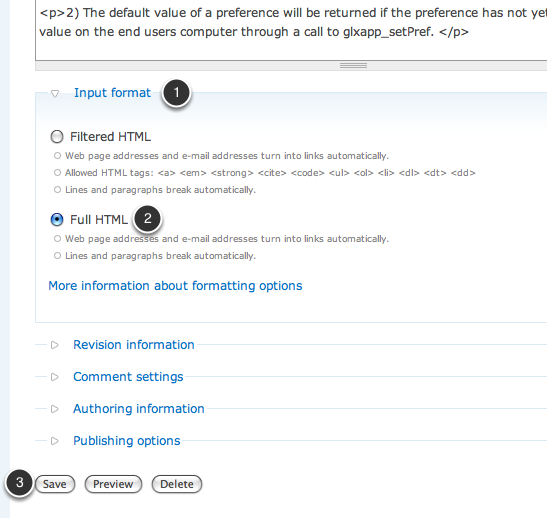 Click on Input format (1) to expand the available options. 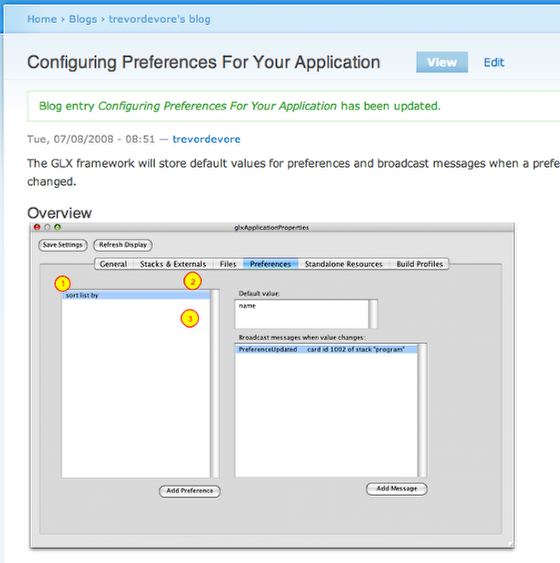 Click on the Full HTML (2) radio button and click Save (3). 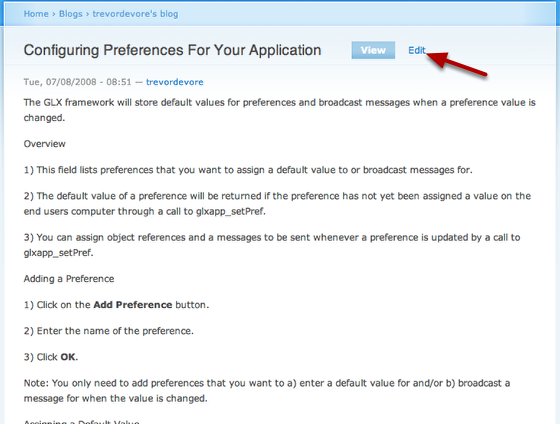 Your lesson now displays correctly in Drupal.